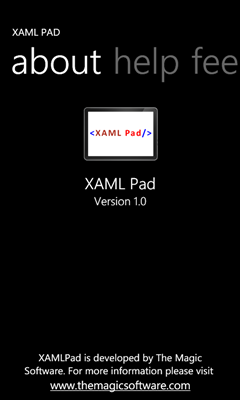 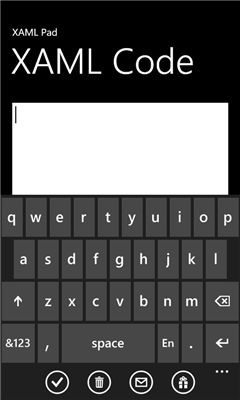 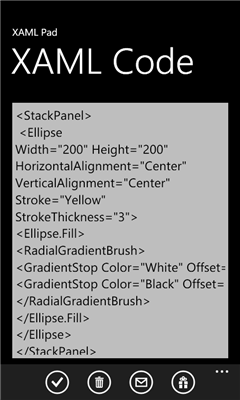 XAML Pad is a free application that let you write XAML snippets that get parsed, compiled and displayed on your Windows Phone. 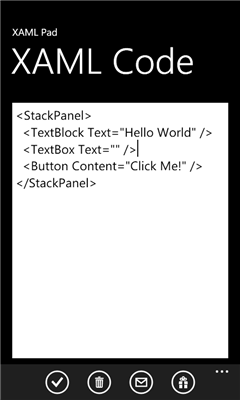 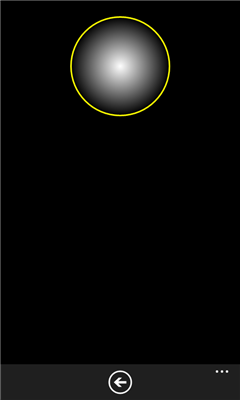 The result will be displayed in a new fully functional Page, meaning buttons will be 'clickable', list boxes 'selectable', etc. 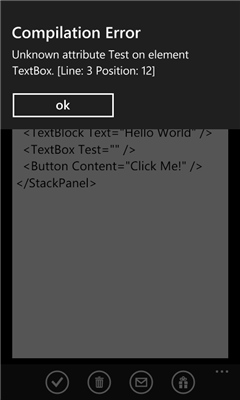 An E-mail feature will let you e-mail the XAML Code for re-use.